Busai Falls is one of the must-see attractions in the town of Bani, Pangasinan. 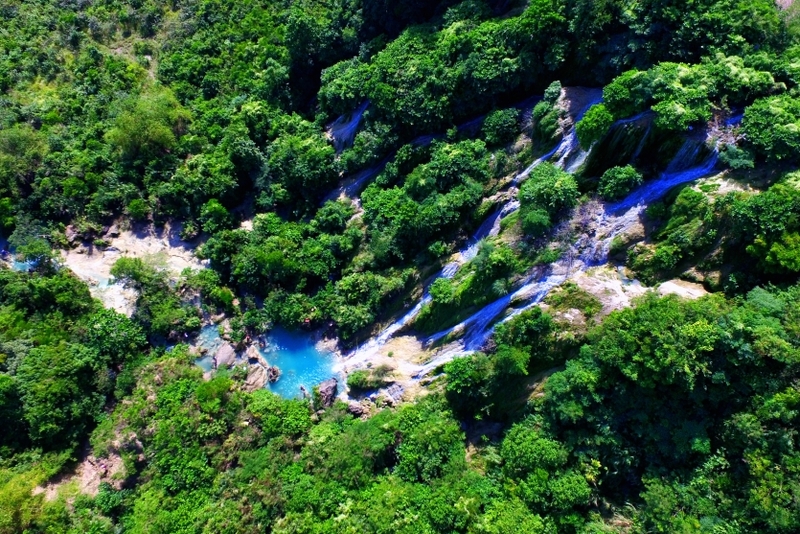 It is located in Sitio Olanen, Dacap Sur, Bani Pangasinan.This newly introduced tourist attraction is one of Bani’s most adventurous—not to mention most romantic. Also known as burubur ni ayat (burubur is Ilokano for bukal, or spring) or the Spring of Love, Busai Falls is a popular date place for local and visiting lovers alike—the barangay chief will even joke that it seems to be effective, if you judge it based the small sitio’s rather large number of children. The half-hour trek leads you through the woods to the 40-foot falls where you can swim at the bottom pool or continue the trail to the top—and rappel down to the bottom for added thrill! The falls are fed by a fresh mountain spring so it’s stunning anytime of the year.